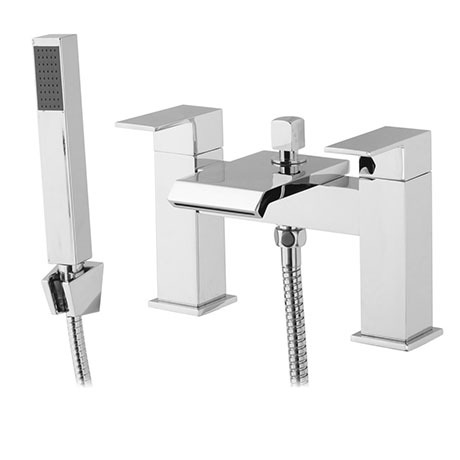 A very stylish waterfall bath shower mixer with a modern striking design, the glacier tap is characterised by it's cool minimalist square body with matching seek lever handles and modern angular waterfall effect spout, which provides a beautiful stream of water. Manufactured from solid brass with a quality chrome finish. It's contemporary design will bring a touch of sophistication to your bathroom. Includes the handheld shower head, wall bracket and the flexible hose.